We offer complete landscaping design and installation services, with a focus on customer care and satisfaction. Since 2002, Brookscapes has offered North Carolina residents high quality residential landscape design and installation. Our Raleigh landscaping company’s creativity and years of experience have earned us a reputation as being one of the best landscape design-build businesses to work with in the area! We take the landscape process and streamline it — so you can sit back, relax and leave the dirty work to us. Brookscapes makes you our priority, doing all we can to make the experience as easy, seamless and fun for you as possible. Brookscapes is a client-centered Raleigh landscaping company, always focused on you and how we can provide you with the best quality of landscaping work and customer service! We work directly with you to produce functional and attractive outdoor spaces, always keeping your budget in mind. We design from an installation point of view, creating a custom landscape design that can be seamlessly built while staying within the agreed-upon schedule and budget. weather, and other factors which influence NC-native landscapes. 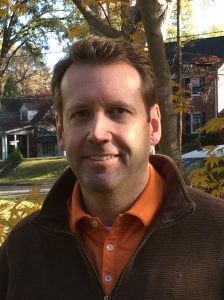 Ken received a Bachelor of Science degree in Landscape Horticulture from North Carolina State University in 1990, and has since worked in both the private and public sectors of the landscape industry. Years of hands-on experience provide the background for Ken’s practical, creative approach to landscape design. It’s his friendly, fun nature, however, that makes working with him a relaxing, enjoyable experience. 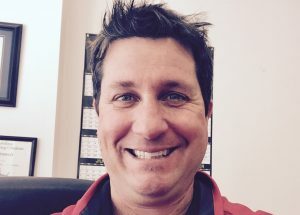 Co-owner and Operations & Production Manager Jeff Francis entered the landscaping industry in a sales position at TruGreen Lawn Care, where he successfully increased TruGreen’s market share regionally three years in a row. After receiving National Salesman of the Year accolades in 1997, Jeff started Francis Landscaping, Inc. in Raleigh, NC. Over the next ten years, Francis Landscaping grew into a multi-million dollar company with a reputation as one of Raleigh’s premier names in landscaping. Francis Landscaping was acquired by a private investor in 2008, presenting Jeff with an opportunity to partner with Ken Brooks on a new venture. Jeff now leads all Brookscapes projects in day-to-day production and operations. Leadership: When you choose to partner with Brookscapes, you receive one-on-one guidance that your project deserves. Our company is always evolving as the needs of our customers change, and as new opportunities are created in the market. You can rest assured that working with Brookscapes, you will enjoy the latest services, technology and developments available. Teamwork: We make it our responsibility to get to know you and your landscape visions. We work with you closely to ensure that the solutions we provide are tailored to meet your landscape’s unique features and challenges. We are committed to your satisfaction. Customer Service: At Brookscapes, our highest priority is satisfied customers. You are important to us, and can expect us to go the extra mile for your happiness and convenience. Superior customer satisfaction is our hallmark, and we are proud to offer it with all of our Raleigh landscaping services. We look forward to working with you!